Driver development is considered a rather straightforward ladder system by some, a black art by others and hopelessly complicated and expensive by yet others. 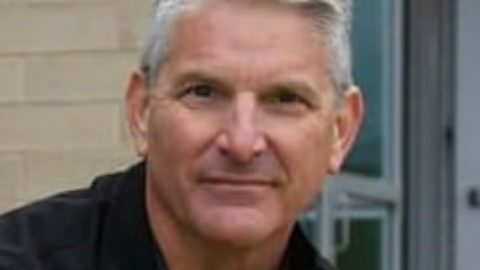 There are misconceptions that abound about what a good driver development program should be and in order to cut through the fog, I spoke to Eric Jensen of Jensen Global Advisors about what constitutes a quality, well thought out driver development program. We also touched on a number of fascinating topics including the importance of tires, electric racing and the importance of starting young. 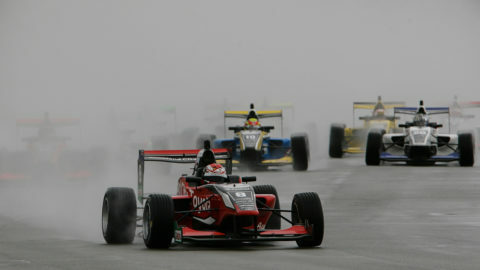 Motorsport Prospects: What is your background in racing? 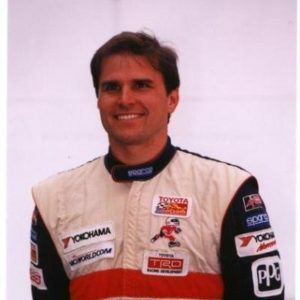 Eric Jensen: My father raced professionally in the 1970’s primarily in the Atlantic Series, for years competing against some very famous and fast drivers including Gilles Villeneuve, Keke Rosberg, Bobby Rahal, Danny Sullivan, among many others. I was a young boy during those years, so grew up from a young age inside the sport. Only in my early 20’s did I start driving myself primarily in the Atlantic and Indy Lights series in North America. I transitioned to team ownership in my 30’s, and since have trained and developed the careers of roughly 200 drivers during the past 15 years including Lance Stroll in F1, five drivers in the IndyCar series, and a bunch of successful sportscar drivers. Beyond competition, my main interest in car racing has been on the commercial side working with advertisers / sponsors. But also my long-time friend Luca Baldisserri was at a career inflection point after stopping as the Competition Director of the Ferrari F1 team due to health reasons, so I suggested that we start a driver development program inside the Ferrari F1 team to train drivers ourselves under that structure, which was the genesis of the Ferrari Driver Academy initiative. 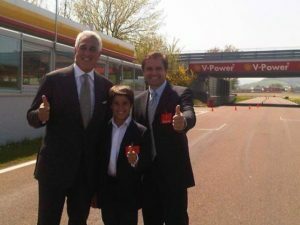 My role was as a talent scout, and my first deal was with Lawrence Stroll to sign his then 11 year old son Lance to a long-term development deal with Ferrari so the back story is that I wrote Lance’ 10 year development plan which all these years later he is still on — including having Luca Baldisserri administering his program albeit now working inside the Williams team. For the past 2 years I have been actively updating the Ferrari Driver Academy business model with another old friend Massimo Rivola who is now administering the program. MP: Why do you think a driver coach is something young drivers should use? EJ: Being fast in a race car is just math and physics, and there are very few coaches in the world who really understand how a driver has to drive to get the maximum potential out of the race car. Drivers will never learn on their own the math / science, akin to a scenario where someone thinks they can become a surgeon without going to medical school to learn from experienced surgeons. Problem is that so many people claim to be “driver coaches” without really having any clue themselves about the math / physics of the sport. MP: What kind of skills should a driver coach teach a young driver? EJ: Math and physics behind how to drive is the main thing. 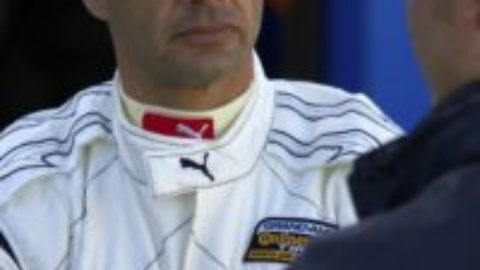 However just as important is dealing with the cerebral side of driving, which frankly it’s impossible for anyone to be a good driver coach if they have never actually raced themselves professionally — since how can you understand what a driver has to be thinking about — if you have never dealt with the stress of driving race cars yourself. MP: Should a professional use a driver coach? EJ: Having a good driver coach is the first place where I driver should be spending their racing budget. Track days mean nothing unless you are learning more about driving to the maximum of the math / physics potential of the race car — and it’s nonsense drivers thinking they can learn this from engineers — and even more nonsense that they think they can learn from mechanics. MP: How do you find a good driver coach? EJ: It’s very difficult since maybe only 1 out of every 20 so called driver coaches are “good” and most drivers are so ignorant about what they need to learn — that they never even know what is a good driver coach. Best advice is to check the resumes of who coaches have taught since results speak volumes about how good they are — and also typically when testing with good teams drivers should have access to good driver coaches — but even then a lot of the driver coaches that teams use are poor because the teams themselves don’t even know who are good driver coaches since the team owners often don’t even know the math / physics of what makes race car and drivers fast. MP: What should a parent look at when evaluating driver development programs or driver academies, regardless of whether they are run by teams or manufacturers. EJ: Parents / drivers don’t apply to be part of team / manufacturer development programs.. rather the people administering the programs select the drivers, and discuss deals with parents… however there are big differences in what is offered depending on the program. MP: Are these a better option than using a coach such as yourself? 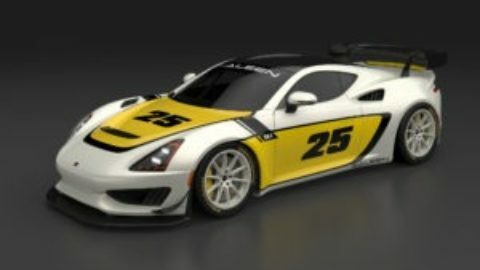 MP: In your opinion, what are some of the best driver development programs out there and why? EJ: Ferrari Driver Academy has Lance Stroll in F1, and Charles Leclerc is racing in 2018 so results speak volumes. Red Bull’s program has been successful with graduating drivers to F1 for more than 10 years also. Mercedes and Porsche also do a good job with developing drivers in-house. MP: What about scholarship programs like the Mazda Road to Indy? Are these an important way to climb the motorsport ladder? EJ: Yes – again the proof is with drivers like Spencer Pigot who have won their way up the ladder with Mazda scholarships. MP: While most kids racing in karts today look to Formula 1 or Indycars as their goal, that is not always realistic. If you were looking to start racing today, what would you envision as the ideal path to a career as a professional driver. What things should parents look for as they involve their son or daughter in the sport? EJ: The key is starting early enough — and with a proper development program with people who really know what they are doing — so the young racer has an opportunity to achieve dominant results in their FIRST year of racing cars — since in order for parents to get off the hamster wheel of spending money every year — either by getting their kids into driver development programs or heavily subsidized seats at race teams — the young driver needs to stand out both based upon results & their young age. Most parents think their kids early years don’t matter so they try to save money — often choosing the cheapest teams — then they get mediocre or poor results — and never get off the hamster wheel where they have to write big checks to keep their kids racing every year until finally they get fed up with how much they’ve spent — and quit the sport. 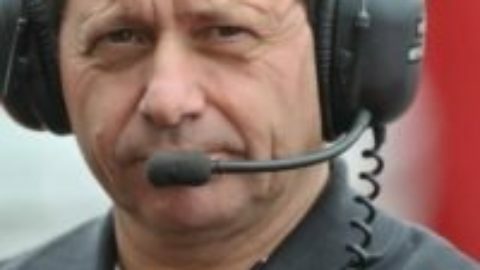 MP: Do you think that upon graduation from karts kids should be looking at F1600, F4 or does it really matter unless they are young and dominate whatever series they are racing in? And what should they look at when researching teams? Race record? Past champions? Where their graduates moved on from that team? EJ: It often changes every year which are the best series and dominating in a series where people who matter know the best kids are in another series at the same level discounts a drivers results… so opting for the series with poor competition is a flawed solution. The tough thing for the parents to know isn’t checking the results teams had the previous year… it’s knowing who were the good people working in the teams that allowed them to have the success. For instance, I coached / engineered at the Global Racing team the last 2 weekends of the F4 championship last season — winning 3 out of the 5 races, and 3 out of the 5 poles — but I won’t be there in 2018 so any dads buying seats at that team probably don’t know the reality that what they are buying isn’t the same. This is the reason why I am doing the Jensen Global Advisors business to do management consulting for series dads to make good career decisions… such as the deal we did for Zach Claman DeMelo where he was only getting 5 races at Coyne this year until we negotiated for him to get 10 races for the same budget or the 10 year deal I did with Lawrence Stroll to manage his sons career from age 11. That is the real reason he’s in F1 now. MP: How do you become a driver coach? EJ: For the most part it’s race car drivers who transition to coaching, since there really is no defined industry. MP: What is the future of driver coaching? VR? Simulation? MP: Can a driver coach from a distance? EJ: Yes, I can look at the data traces of any driver and quickly analyze major areas where the person can improve quickly. Again it’s just math / physics to be fast, so it’s nonsense when people talk about “driving styles” since you’re either doing it right or wrong. 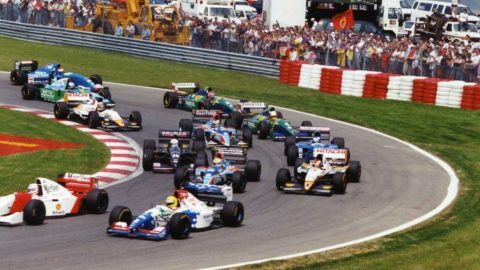 MP: Completely off topic but what do you think of the electrification of racing? From both a personal and business standpoint. EJ: Electrification doesn’t change much until there is a move away from using rubber tires, the art will stay pretty much the same. The art is all about managing the contact patch at all phases of a corner, but 99% of junior teams and drivers probably have no clue what this even means… which is how bad is the junior development industry in general in my opinion. Finally, Jensen Global Advisors also plans to run two cars in the F4 races at the United States Grand Prix on the dates October 19 – 21 with clear intention of impressing F1 team bosses to position their drivers at the front of the line to be signed to F1 Driver Development programs. EJ: Our two race seats for the US Grand Prix weekend will be offered to select candidates who can similarly challenge for dominant race wins as we achieved last year. A big thank you to Eric Jensen for taking the time out to speak with me. It was very much appreciated. You can view the full Motorsport Prospects listing for Jensen Global Advisors containing full contact information and social media links here.